Each year, CommonSource, a Houston-area document management firm, makes a commitment to give back to the community and make a difference. The firm capped off 2009 and started 2010 with generous donations to families in need and the Muscular Dystrophy Association (MDA). During the holidays, CommonSource adopted four families plus five individual children from Holy Name Catholic Church and purchased much-needed food and gifts. 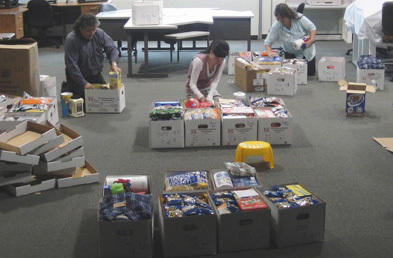 CommonSource employees took time off of work to separate the items into boxes. In addition, CommonSource proudly supports MDA, a nonprofit dedicated to curing muscular dystrophy, ALS and related diseases, along with providing comprehensive health care, support services, advocacy and education. Zdansky was selected to join a select group of MDA supporters called Elite Fifty, which raised more than $100,000 to send 125 kids to camp. 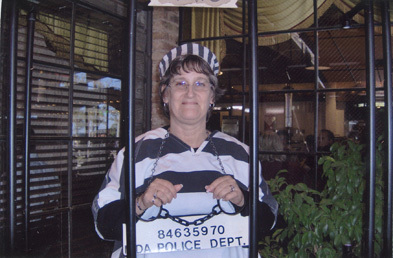 CommonSource’s Production and Quality Control Manager, Cheryl Traber, also helped raise funds for MDA by participating in the Greenspoint Lock-up fundraiser. Her contribution garnered $34,024 for the organization. For 2010, CommonSource has already participated in a Texas EquuSearch fundraiser and MDA’s “All In for ALS” poker tournament where 357 guests played for the charity raising more than $152,000. Zdansky and her staff also have plans to participate in MDA’s Stride & Ride in March, Make-A-Wish Foundation Wish Night 2010 in May, and many more charitable activities and events during the coming year. Ann Zdansky poses with the “Goodfather”, the self-proclaimed Don of good works for the Muscular Dystrophy Association (MDA). CommonSource staff separates food and gifts into boxes to give to families and children in need of assistance. 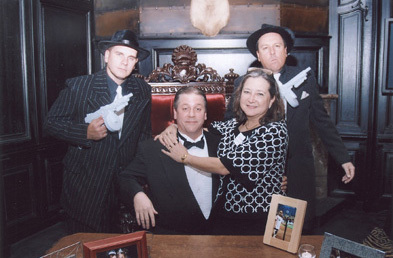 Production and Quality Control Manager, Cheryl Traber, helps raise $34,024 for the Muscular Dystrophy Association (MDA) at the Greenspoint Lock-up fundraiser.